With reference to the Seventh Conference of Parties of the Rotterdam Convention in Geneva, Switzerland from 4th May to 15th May 2015 and my earlier letter dated 25th March 2015, I submit that Hon'ble Supreme Court has examined the carcinogenicity of “ASBESTOS (mesothelioma and lung cancer)” in the Consumer Education & Research Centre Vs Union Of India & Others case in its landmark verdict dated 27th January, 1995. I submit that this verdict established Right to Health as part of Right to Life. This judgment is quite relevant for hazardous industries in general and asbestos industry in particular in the 30th year of Bhopal disaster. It is noteworthy that Union Carbide Corporation was also in the business of asbestos whose liabilities has been inherited by Dow Chemicals Company making it set up a $ 2.2 billion compensation fund for the victims of asbestos related diseases in USA. I submit that the Convention is based on a process under which the Chemical Review Committee examines the evidence before recommending whether a substance should be put on the Convention's list of hazardous substances. Some countries like Russia who are promoting transfer of harm to countries like ours due to their incestuous relationship with the asbestos industry are rejecting the scientific process and refusing to act as per the recommendation of the scientific committee in the matter of white chrysotile asbestos. I wish to inform you that European Union (EU) might be sponsoring asbestos industry and government stakeholders to take part in this conference that is to decide on listing of white chrysotile asbestos in the list of hazardous substances. It is quite bizarre given the fact that all the 27 countries of European Union have banned asbestos of all kinds. Indian delegation should be made wary of their presence and influence and actively resist them instead of succumbing to their temptations and persuasions. EU hosted the asbestos industry representatives during March 30 and 31, 2015 at the Technical Workshop on Chrysotile Asbestos which was organized by the Rotterdam Convention Secretariat. Indian delegation should be wary of Secretariat attempting to pander to the whims and fancies of asbestos producing countries like Russia, China, Brazil, Kazakhstan and others. In 2013, Russia produced 1,050,000 tonnes, China produced 420,000 tonnes, Brazil produced 307,000 tonnes and Kazakhstan produced 242,000 tonnes of asbestos. India consumed 303,000 tonnes of asbestos in 2013 although asbestos consumption dropped by 39% in 2013 but still it remains a big consumer. Such rate of consumption increases burden of incurable lung diseases. I submit that on December 27th, 2012 a new "List of recommended substitutes for toxic and hazardous raw materials" was officially published by China's Ministry of Industry and Information Technology. Asbestos was included in category 3, the most advanced class for which substitutes have been developed and are being used. In the document, asbestos was categorized as a toxic and hazardous substance which could be replaced by safer alternatives. India’s Ministry of Environment & Forests has announced similar action but follow up action is yet to be taken. The fact is that mining of asbestos of all kinds, trade in asbestos waste (dust & fibers) is banned in India. In June 1993, central government stopped the renewal of existing mining leases of asbestos. The mining activity was banned by Union Ministry of Mines. It is strange that while mining of asbestos is banned in our country due to adverse health impact, the same is being imported from Russia and other countries. 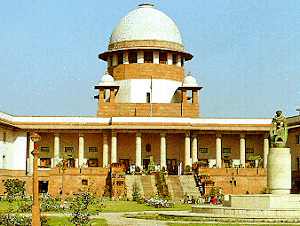 I submit that a letter of Shri B N Mehta, the then Chief Inspector of Factories, Gujarat State dated December 24th, 2002 submitted in the Hon’ble Supreme Court categorically reveals that two workers of Gujarat Composites Ltd were confirmed for Asbestosis, an incurable lung disease by National Institute of Occupational Health (NIOH), Ahmedabad. The workers were (1) Shri Hazarilal Manraj and (2) Shri Sahejram B Yadav. The letter recommended compensation of Rs 1 lakh as per the Hon’ble Court’s order but till date the same has not been given. The letter is available at https://twitter.com/krishna1715/status/503824823747751936 This and many such cases conclusively establish the hazards from asbestos. Influence of the asbestos industry becomes quite obvious when Government turns a blind eye to such glaring official facts. This is also a clear case of contempt of court by the asbestos based company. It may be noted that Gujarat Composite Ltd (formerly named Digvijay Cement Company) is refusing to pay and appears to be attempting to hide behind myriad corporate veils by changing names and by outsourcing its work. This is what the industry has done in more than 50 countries but failed to avoid the inevitability of ban on all kinds of asbestos including white chrysotile asbestos. NIOH had also found in a study submitted in the Hon’ble Court that 16 % of the migrant workers involved the ship breaking industrial activity were exposed asbestos but none of the workers have been compensated till date. I submit that Indian delegation’s position with regard to asbestos must be made consistent to Indian laws in practice. Asbestos is listed as a hazardous substance under Part II of Schedule-I of the Manufacture, Storage and import of Hazardous Chemical Rules, 1989 under the Environment (Protection) Act, 1986 provides the List of Hazardous and Toxic Chemicals. This list has 429 chemicals, asbestos is at the serial no. 28 in the list. This Rule and the list is available on the website of Union Ministry of Environment & Forests. I submit that INVENTORY OF HAZARDOUS CHEMICALS IMPORT IN INDIA prepared by Central Pollution Control Board (CPCB), under Union Ministry of Environment & Forests, Govt. of India prepared in September, 2008 with a foreword September 24, 2008 by Shri J. M. Mauskar, the then Chairman, CPCB and Additional Secretary, Union Ministry of Environment & Forests lists ‘asbestos’ at serial no. 26 as one of the 180 hazardous chemicals in international trade which is imported in India. This was done pursue of Government of India’s “Manufacture, Storage, and Import of Hazardous Chemicals (MSIHC) Rules, 1989” under the Environment (Protection) Act, 1986. According to these Rules, any person responsible for importing hazardous chemicals in India is to provide the data of import to the concerned authorities, as identified in Column 2 of Schedule 5 to the Rules. The CPCB “has been identified as one of such Authorities. In order to study the inventory of Hazardous Chemicals being imported by various categories of industrial units in India, the data provided by these industrial units to the Central Pollution Control Board (CPCB) have been compiled.” It is scandalous as to why did the Indian delegation took a position inconsistent with the Manufacture, Storage, and Import of Hazardous Chemicals (MSIHC) Rules, 1989. I submit that under Factories Act, 1948, the List of 29 industries involving hazardous processes is given under Section 2 (cb), Schedule First, asbestos is mentioned at serial no. 24. The Act defines "hazardous process" as “any process or activity in relation to an industry specified in the First Schedule where, unless special care is taken, raw materials used therein or the intermediate or finished products, bye-products, wastes or effluents thereof would—(i) cause material impairment to the health of the persons engaged in or connected therewith, or (ii) result in the pollution of the general environment”. 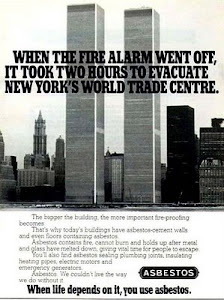 This leaves no doubt that asbestos is a hazardous substance. I submit that the Indian delegation was joined by supporters of asbestos industry in 2013. It is quite apparent that the industry representatives overwhelmed the government representatives who were made to take position against human health and the environment and to put profit of the asbestos industry before gnawing public health concerns. 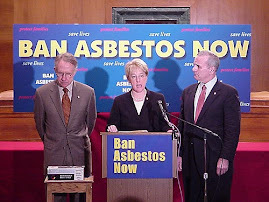 I submit that on June 22, 2011 Indian delegation led by Ms. Mira Mehrishi, Additional Secretary, had supported the listing of Chrysotile asbestos as a hazardous chemical substance at the fifth meeting on Rotterdam Convention amidst standing ovation. I submit that TWA had taken the opportunity of congratulating the government but government’s about turn in 2013 was a sad let down. I have learnt from officials and scientists who go to such meetings that they feel humiliated when the industry representatives give them directions instead of the senior government officials or ministers. The UN meet on hazardous chemicals creates a rationale for insulating government officials from undue and motivated industry influence else they will be obliged to act like caged parrots. The role of Cabinet Committee on Economic Affairs (CCEA) in such matters must factor in far reaching implications for public health before defending the indefensible hazardous asbestos industry. The day is not far when members of CCEA too will be held liable for their acts of omission and commission as is happening in more than 50 countries that have banned all kinds of asbestos. It must the noted that EIAs prepared by asbestos industry routinely admit that “Asbestos fiber will be used in the plant as a raw material is hazardous in nature, the industry will give information to the workers on hazards associated with asbestos”. This text is from the EIA report prepared for a proposed asbestos based plant by Utkal Asbestos Limited (UAL) in Kanhauli Dhanraj Panchayat of Goraul block, Vaishali district in Bihar. This EIA report like similar other report admitted that asbestos factory's "Construction site has a potential hazardous environment." EIA report of UAL has stated that its construction environment is hazardous. It is significant because Shri Arun Kumar Saraf, Chairman, UAL Industries Ltd, Kolkata, India will be attending the Rotterdam Convention's conference in Geneva from May 4th, 2015 to prevent white chrysotile asbestos from being put on the UN list of hazardous substances. I submit that Dr S P Vivek Chandra Rao, Advisor, Asbestos Cement Products Manufacturers Association visited the office of Sub Divisional Officer (SDO), Mahuwa, Vaishali, Bihar on September 28, 2012 to represent UAL’s interest in the face of bitter opposition to its proposed white asbestos based plant in Kanhauli Dhanraj Panchayat of Goraul block from villagers. Dr Rao attempted to defend the proposal of asbestos based factory but failed. Vindicating villagers’ protest Bihar State Pollution Control Board (BSPSCB) cancelled the No Objection Certificate granted to UAL and established the hazardous nature of asbestos based factories. Through an order dated December 26, 2013, BSPCB refused to extend the Consent to Establish (NOC) given to West Bengal based Utkal Asbestos Limited (UAL)'s proposed asbestos based plant in Vaishali overruling the recommendations of a Committee of Central Pollution Control Board. This has led to cancellation of the proposed asbestos factory. Notably, Shri Vivek Chandra Rao Sripalle, Director, Safety, Health and Environment Asbestos Cement Products Manufacturers’ Association will be attending the Rotterdam Convention's conference in Geneva from May 4th, 2015. The case of stoppage of proposed asbestos factory of UAL in Vaishali, Bihar demonstrates that people are against such plants. The website admits, “ACPMA regularly receives from ICA latest information on various technical, scientific and health related issues connected with the safe use of Chrysotile. All such information is disseminated amongst Members and others connected with the Industry including Govt. regulatory bodies.” The website refers to its membership stating, “ACPMA currently has 15 Members having 51 manufacturing units located in various States providing direct and indirect employment to approximately 300,000 (Three Lakh) persons and having a gross annual turnover of approx Rs.4500/- crores.” It refers to a URL saying, “To view the list of members alongwith their office address”. The URL shows 18 members instead of 15. These are A INFRASTRUCTURE LTD, ASSAM ROOFING LTD, EVEREST INDUSTRIES LTD, HYDERABAD IND. LTD, JAIPRAKASH ASSOCIATES LTD, SAHYADRI INDUSTRIES LTD, RAMCO INDUSTRIES LTD, TAMILNADU CEMENTS CORPN. LTD, U P ASBESTOS LTD, UAL INDUSTRIES LTD, ‘KONARK MANI UDAY’, VISAKA INDUSTRIES LTD, STURDY INDUSTRIES LTD, VILSON ROOFING PRODUCTS PVT.LTD, NORTH EAST ROOFING LTD, ARL INFRATECH LTD, SRI VENKATESWARA PIPES LTD, ROOFIT INDUSTRIES LTD And MRK PIPES LTD. I submit that the question which merits attention is how is it that these profit making companies when they become members of the Asbestos Cement Products Manufacturers Association (ACPMA) turn into “a non-profit organization and is registered with the Registrar of Societies under Indian Societies Act 1860”. Essentially, its claim of being a non-profit NGO is factually incorrect. This appears to be an act of fraudulent representation. I submit that instead of letting ACPMA undertake the exercise of defending the profit making enterprises of these hazardous asbestos based companies, concerned ministries must consider asking each of these companies to file submissions about the environmental and occupational health status of the workers in their factories and the health records of the workers who have retired in compliance with the Hon’ble Supreme Court order of 1995. It is noteworthy that Shri Manish Sanghi, Vice Chairman, Everest Industries Ltd, New Delhi, which also a member of ACPMA represents Asbestos Information Centre, which has been spearheading a misinformation to mislead the government with regard to hazardous and carcinogenic nature of asbestos. I submit that officially as of February 2010 the number workers employed in asbestos industry in different seem to show that their numbers have not been fully disclosed. Andhra Pradesh has seven factories employing 1389 workers. Assam has two units employing 45 workers. Delhi has six units having 231 workers. Gujarat has 13 units with 739 workers. Haryana has 19 units with 1300 workers. Jharkhand has two units with 153 workers. Karnataka has two units with 370 workers. Kerala has one unit with 200 workers. Madhya Pradesh has 11 units with 610 workers. Odisha has one unit with 477 workers. Rajasthan has five units 61 workers. Tamil Nadu has 1677 workers. Uttar Pradesh has 11 units with 711 workers. West Bengal has nine units with 1200 workers. Maharashtra has 24 units with 1338 workers. 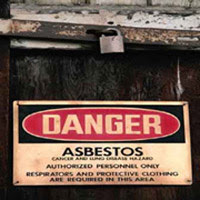 It has come to light in 2015 that Bihar has 78 asbestos workers in Bihiya, Bhojpur district. I take the opportunity to challenge the ACPMA to make the health reports of all these workers employed in the factories to demonstrate the truth hazardous and carcinogenic nature of asbestos based factories. I submit that documents unearthed under the Right to Information Act revealed how white chrysotile asbestos industry added Rs. 16 lakh to the government’s Rs. 44 lakh for a study titled ‘Implementation of Rotterdam Convention on Prior Informed Consent Procedures — Study of Health Hazards/Environment Hazards Resulting from the Use of Chrysotile Variety of Asbestos in the Country’ by National Institute of Occupational Health (NIOH), Ahemdabad to “specifically indicate how technology has made working conditions [in asbestos factories] better.” The minutes of the Review Committee for the NIOH study obtained through the RTI application dated December 19, 2006, read: “The report will be finalised after due discussions with the asbestos industry.” Another meeting minutes, dated April 18, 2007, report that “...the results of the study which was under way could not be shared [with public] till the same was finalised.” A letter dated April 24, 2006 from Under Secretary to the Government of India, Dept. of Chemicals and Petrochemicals, Union Ministry of Chemicals and Fertilizers to Director, NIOH: “the deliverables will include generation of data which would justify the safe standards of its usage as also the reasons/rationale justifying its non-inclusion/or otherwise in the PIC ambit…”. The attached releases from Press Information Bureau, Government of India reveal how government had to admit conflict of interest in both the Houses of Parliament. I submit that last time in 2013, India delegation relied on an irrelevant note of the Ministry of Chemicals prepared on the basis of an admittedly questionable study of NIOH study. The Indian Council Medial Research Annual Report 2011-2012 reported the “Study of Hazards/Environmental Hazards resulting from use of Chrysotile variety of asbestos in the country (Ministry of Chemicals & Fertilizers, GOI)” as having been done. The Director, NIOH had sent a revised proposal on June 22, 2005 to Under Secretary. Department of Chemicals and Petrochemicals, Ministry of Chemicals and Fertilizers, Government of India to conduct the study. I submit that a reply from Shri R N Jindal, Union Ministry of Environment & Forests based on Department of Chemicals and Petrochemicals (DCPC)’s note dated June 18th, 2013 on the issue of Government of India’s position on hazardous substance chrysotile asbestos at the Sixth Conference of Parties of (CoP-6) of the Rotterdam Convention on the Prior Informed Consent Procedure for Certain Hazardous Chemicals and Pesticides in International Trade held during April 28-May 10, 2013 in Switzerland. The 7 page long note of the Department of Chemicals and Petrochemicals (DCPC), Union Ministry of Chemicals and Fertilizers on the subject of Chrysotile Asbestos titled ‘Department of Chemicals and Petrochemicals’ View on the use of Chrysotile Asbestos” in the country’ was shared with me by the Union Ministry of Environment & Forests (MoEF). MoEF’s contention based DCPC’s note stating that “On the basis of the said note, the listing of Chrysotile Asbestos under Annex ‘A’ of Rotterdam Convention at CoP-6 during April 28th -May 10th 2013 at Geneva could not be supported” is misplaced. The note of the ‘line department’, i.e. Department of Chemicals and Petrochemicals (DCPC), Union Ministry of Chemicals and Fertilizers on the subject chrysotile asbestos. The note of the DCPC reveals that it has failed to understand the purpose of the Rotterdam Convention and ignorance about the objective of the Convention. The note is irrelevant from the point of view of the objective of the Convention for which it was prepared. While one disagrees with the findings of the conflict of interest ridden study conducted by the National Institute of Occupational Health, (NIOH), it is evident that even this study does not state that chrysotile asbestos is not a hazardous chemical. Had NIOH study concluded that Chrysotile Asbestos is not a hazardous chemical it may have become relevant. But even then it would have been legally unsustainable because under Indian laws chrysotile asbestos is a hazardous chemical. The concluding sentence of the DCPC’s note saying, “In view of the above, India may take a stand in the next CoP meeting of Rotterdam Convention for not inclusion of chrysotile asbestos in Annexure-III of Convention. The flawed conclusion of the note titled ‘Department of Chemicals and Petrochemicals’ View on the use of Chrysotile Asbestos” in the country’ is quite stark and will not stand scrutiny of logic and law. I submit that taking cognisance of Hon'ble Court’s judgment dated 27th January, 1995, when the Ministry of Environment of Forests came out with its 19 page long Vision Statement on Environment and Human Health (Para 4.3.1) it stated: “Alternatives to asbestos may be used to the extent possible and use of asbestos may be phased out” on page no. 12. This is available on its website. Source: moef.nic.in/divisions/cpoll/envhealth/visenvhealth.pdf. I submit that in a notice dated December 24, 2014, Hon’ble National Human Rights Commission has asked the Ministry of Labour regarding steps taken in pursuance of its concept paper. I wish to draw your attention towards a paper titled ‘Asbestos-An Important Public Health Hazard’ published for the National Convention of Chemistry Teachers and National Seminar on “Emerging Trends in Green Chemistry during October 15-17 2011. In the paper, it is stated that as early as “In 1935 first time, Lynch Smith described a lung carcinoma in a patient with asbestosis (fibrosis of the lung caused by the inhalation of asbestos dust). A large number of clinical, epidemiologic, and experimental studies established carcinogenic effect of different types of asbestos fibers on various tissues and organs, both in humans and in experimental animals. Inhalation is major source of exposure in humans.” It also noted that “its (asbestos) diffusion in the occupational and general environment causing a lot of health hazards even cancer.” This event was recognized by International Union of Pure and Applied Chemistry (IUPAC) and United Nations Educational, Scientific and Cultural Organization (UNESCO) as part of The International Year of Chemistry 2011. Taking cognisance of threats to life and public health; as of April 2015 more than 50 countries have banned production, use, manufacture and trade of the hazardous mineral fiber, ASBESTOS. These countries are: Israel, Japan, France ,Nepal, Australia, Italy, Germany, South Africa, Switzerland, South Korea, Denmark, Algeria, Czech Republic, Iceland, Malta, Serbia, Argentina, Ireland, Portugal , Mozambique, Seychelles, Egypt, Netherlands, Slovakia, Austria, Estonia, New Caledonia, Slovenia, Bahrain, Finland, Norway, Belgium, Poland, Sweden, Bulgaria, Uruguay, Chile, Greece, Latvia, Qatar, Turkey, Kuwait, Croatia, Honduras, Lithuania, Romania, Cyprus, Hungary, Luxembourg, Jordan, Oman, Brunei, Gabon, Saudi Arabia, Spain and United Kingdom. Hong Kong’s Legislative Council has adopted the Air Pollution Control (Amendment) (No. 2) Ordinance 2013 on 22nd January, 2014 which bans the import, transhipment, supply and use of all forms of asbestos as of 4th April, 2014. In a related development Nepal has banned the import, sale, distribution and use of all asbestos on the grounds of public health on 22nd December, 2014. The prohibitions will come into effect on 20th June, 2015. It is noteworthy that asbestos industry is one of the 64 heavily polluting industries under Red Category of Union Environment & Forests Ministry. In fact, commerce in asbestos waste (dust & fibers) is banned in India under Hazardous Waste Management Rules under Environment Protection Act, 1986. I submit that following Hon’ble Court’s order India has to adopt the fresh resolution of ILO seeking elimination of asbestos which has been endorsed by the Court. This has been reiterated by the Hon’ble Court in its judgment dated January 21, 2011. Government ought to be more sensitive to workers' health to disassociate itself from its sad legacy of being indifferent towards them. The ministry's vision statement does talk about environmental and occupational health at considerable length. It is about time it acted as per its own vision and concept paper. I submit that if by the end of the deliberations, it becomes apparent that there will be no consensus on inclusion of white chrysotile asbestos in the Annexure III, Indian delegation should be advised to voluntarily declare its desire to get it included in the list. The decision in Geneva will illustrate whether or not any mafiosi of asbestos industry can hold hostage it hostage or not. It should consider seeking a moratorium on use of asbestos based construction materials in disaster affected areas. If this is not done it would amount to making profit over disaster affected persons a priority. 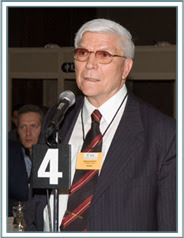 Disregarding the regressive influence of asbestos producers like Russia, Indian government should act to make South Asian and the India-Brazil- South Africa (IBSA) region countries asbestos free. Notably, South Africa has already banned asbestos and several States in Brazil too have banned it. In India, States like Uttarkhand and Union Territory of Chandigarh has supported prohibitory action in writing. It has quite often been said that asbestos industry acts like tobacco industry in operating its propaganda machine. Government has done well to resist tobacco lobby, it should do the same in the matter of this lung cancer causing industry. In view of the above, I earnestly urge you stop objecting to the listing of chrysotile asbestos (white asbestos) as a dangerous material under the Rotterdam Convention on exports of hazardous materials, Government of India is under an ethical and logical obligation, backed by indisputable scientific and medical evidence to do so to protect the health of citizens, workers and their families of the present and future generations. Government of India must demonstrate that it will remain consistent with its domestic law and resist the century old tremendous influence of asbestos lobby at this UN conference.